A 90 acre Equine Estate w/Gently Rolling Hills, Pond, Pasture, Wetlands & Woods.The Treelined drive leads to the majestic Timber Frame Home. Impeccably designed w/highest quality amenities & distinctive features.Nearly 7000 sq. 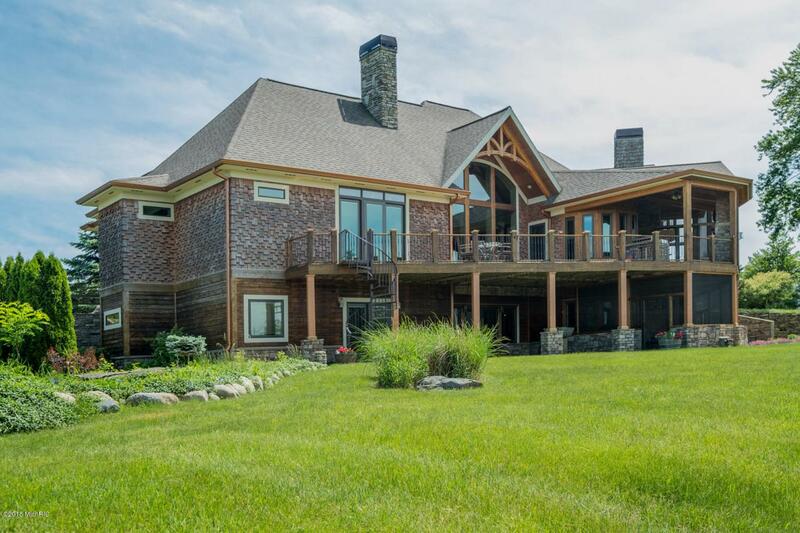 ft. finished w/4 bedrooms (potential for 2 addtl Master Suites) & 6 1/2 baths, open floor plan is ideal for large gatherings & today's active family.Main floor features Onyx Floor Foyer, Soaring 26' Wall of Windows, Fieldstone Fireplace, Hand Scraped Hardwood Flooring, unique Log Posts. 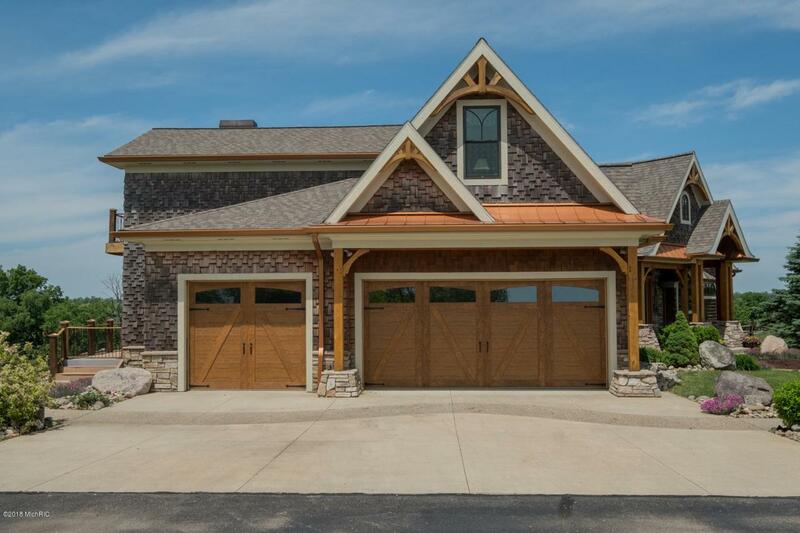 Custom Amish Crafted Cabinetry throughout, Master bdrm w/Spa like Bath, Kitchen w/Granite Counters, Center Island, Breakfast Nook w/Inlaid Copper Ceiling, Large Pantry, Guest rm/Bath, Laundry, Library, Wet Bar & Formal Dining. Exit the Kitchen to Screened in Porch w/Fireplace& adjacent deck w/Built In Gas grill perfect for evening entertaining. The upper level of the home has a small Apartment or In-Law Suite complete w/Full Kitchen, Large Living Room, Bath & Sitting Balcony overlooking the Waterfall to the Pond. 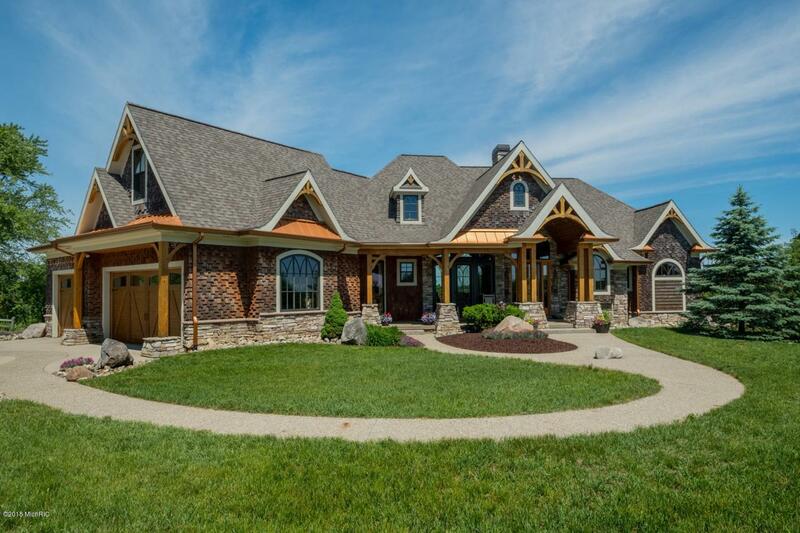 The Lower Walk Out level is completely finished & has Full Kitchen, Snack Bar, Unique Corrugated Tin Ceiling, Grand Fieldstone Fireplace, Game Area, Family Room, Guest Room/Bath, Wine Closet, Office w/Private Bath, Custom Wood Pedestal Sink & Exercise Room. In addition the lower level offers plenty of storage space. From the lower level access the Second Screened in Porch w/Fireplace & Dry Sauna or just sit on the Covered Patio & enjoy nature. Most energy efficient with GeoThermal Heating & Cooling. 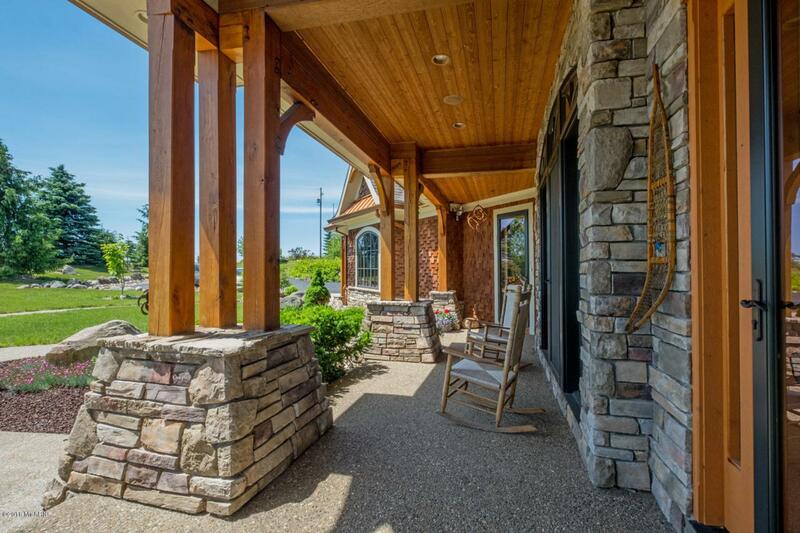 The outdoor amenities include an Indoor Riding Arena for the horse enthusiast complete w/Heated Viewing Room, Attached 4 Stall Barn, Wash Bay, Tack & Feed Rooms. There are 5 Paddocks w/No Freeze Self Watering Stations & an Outdoor Arena. Next to the indoor arena is the Lodge finished interior of Knotty Pine, Small Kitchen, Half Bath & Loft Sleeping Quarters. The Lodge also provides additional space for more stalls or to store equipment. A Spring Fed Pond is stocked w/Brook & Rainbow Trout, Large & Small Mouth Bass & several other Pan Fish.Whether you want Privacy, Equine Amenities, Hunting opportunities this property has it all. Featured in The 2015 Timber Home Living Magazine and Published in Elegant Wood Homes. Visit www.MichiganTimberFrameCountryEstate.com for more details on this remarkable property. Listing provided courtesy of Kelley L Blacken of United Country - Michigan Lifestyle Properties / Gull Lake Realty. © 2019 MichRIC, LLC. All rights reserved. Information deemed reliable but not guaranteed.